Last week I was invited by Diana, the local Mary Kay lady, to attend her fundraiser event for Haiti. 100% of the proceeds went to American Red Cross to help those in need in Haiti. She even had a speaker/author who had been to Haiti talk about his experience there. 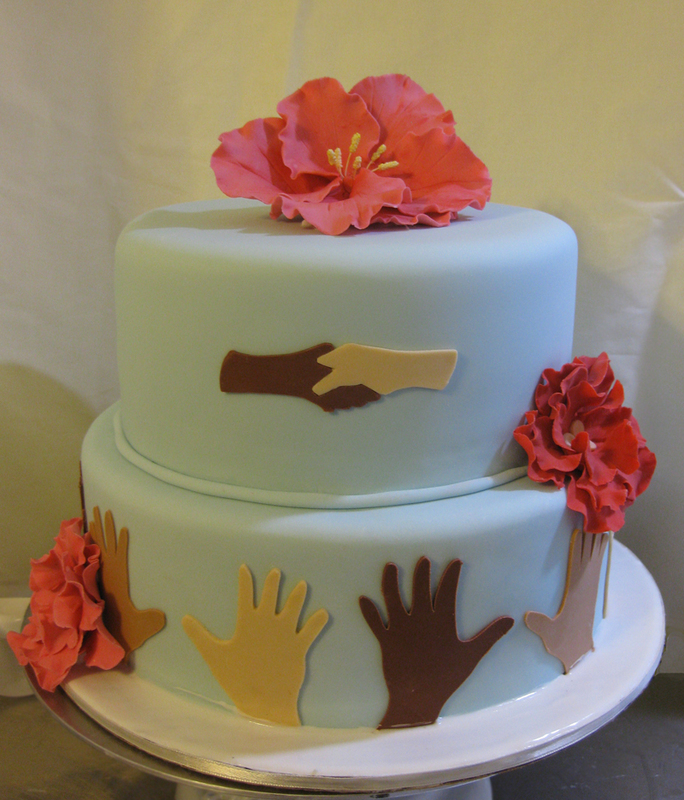 I donated this cake, inspired by the name of her event, “Helping Hands for Haiti” I of course included many hands along with a couple tropical flowers. Recently, we finished up our second round of “Icing on the Cake”, the cake designing/decorating course at the Winthrop youth center (Kathy’s Place). This theme for this class was Winter Olympics. For the whole month of February the youth center held there own version of the olympics with competitions and games complete with a closing ceremony. The kids in the class were asked to design a cake to be on display, and of course enjoyed by everyone at the closing ceremony. Their design included the Olympic rings with all sorts of different athlete figurines and flags from as many countries as we could fit. 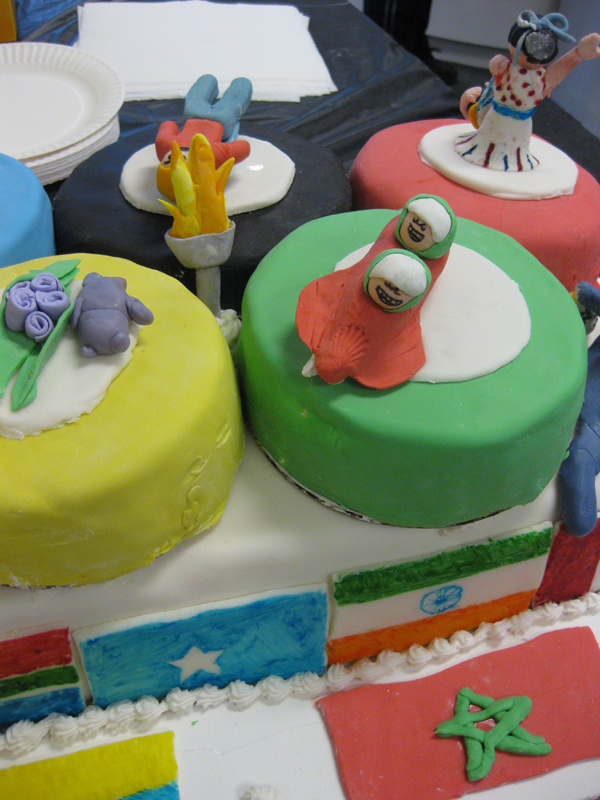 The class met twice a week for 5 weeks learning the process of designing, baking, and decorating custom cakes. They made all their own frosting and fondant, and frosted and fondanted the cake themselves. 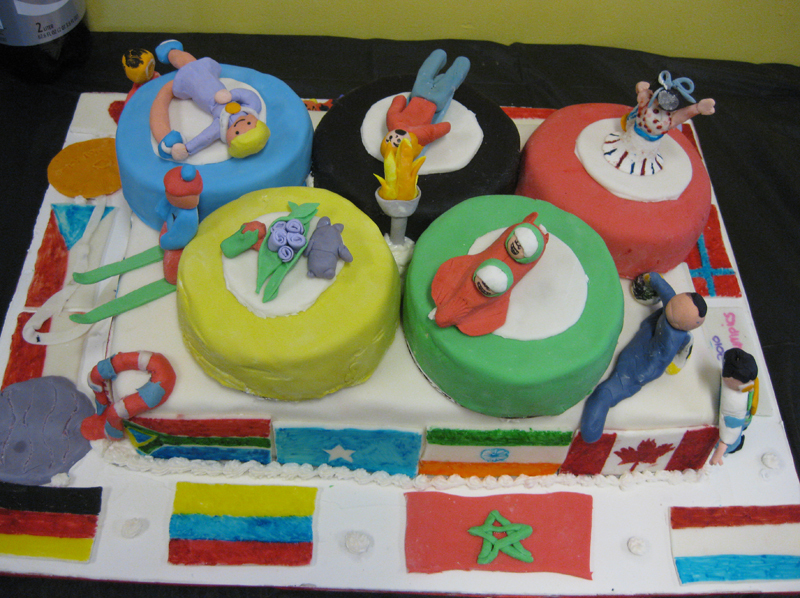 The cake was a big hit at the closing ceremony and the kids were pretty proud of their work. Here is a view from the top of the cake. A couple figure skaters, a skeleton guy, bobsled, curler and a ski jumper. Here is a corner shot with a good view of the silver medal, and bouquet of flowers and teddy bear. And one more view of the torch and the bobsled team who really seem to be enjoying themselves : ). 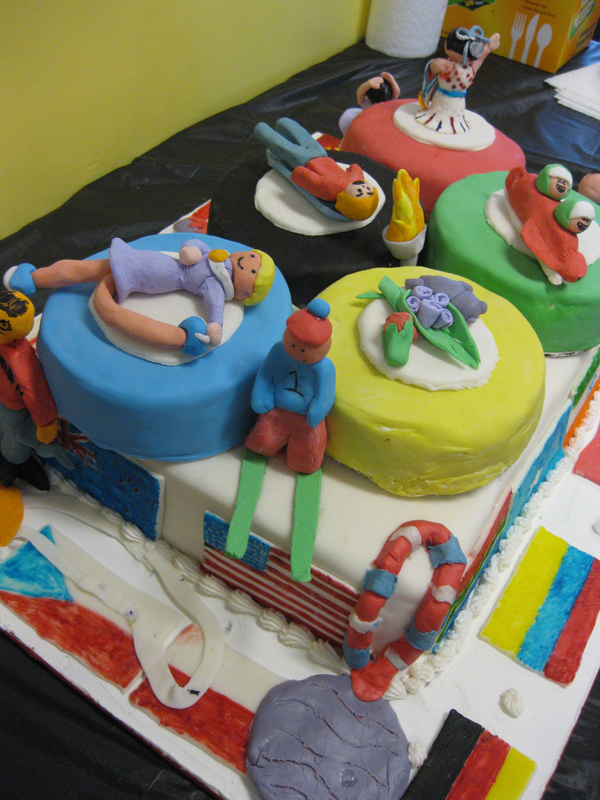 Want to see more cake by the Winthrop middle schoolers? Check out this blog post!